There is a temptation on Wall Street to search out the next best thing. Take Facebook Inc (NASDAQ:FB) for example. The company has taken a hit in sentiment among some investors ever since Snap Inc’s (NYSE:SNAP) initial public offering (IPO). Snap’s Snapchat app, after all, was the choice of a new generation, and the company was going to dethrone Facebook as king of the social media market. But there’s a problem with that younger generation. Snapchat may be growing in popularity with teens who are shunning their parent’s preference for Facebook, but it’s their parents who have the cash. What’s more, Facebook continues to prove it can mimic Snap’s innovations better than Snap can implement them. For instance, Facebook’s Instagram is just behind Snapchat in terms of teen popularity. In that sense, Facebook is still firing on all cylinders, raking in money from the bigger-spending parents and luring teens back by remaining competitive with Snapchat. Click to Enlarge For FB stock investors, this situation has created a bullish opportunity. The recent drag in media sentiment on Facebook led to a bit of short-term selling, sending FB stock into a downtrending channel that began just after the company posted stellar earnings back in late July. Now, however, FB stock is breaking out of that downtrending channel, creating a bullish flag formation — a technical development that often signals a continuation of a longer-term uptrend. FB stock should complete this breakout today by pushing through former resistance at $172, giving the shares enough momentum to challenge and even push past $175 to hit new all-time highs. Most of Wall Street is quite bullish on FB stock. For instance, Thomson/First Call reports that Facebook stock has accumulated 42 buy ratings, compared to just three holds and one sell rating. 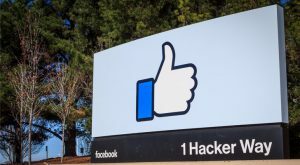 Additionally, the 12-month price target of $192.62 represents a modest premium of about 11.9% — which could see a few increases as Facebook solidifies its position as a market leader. Turning toward the options pits, calls remain popular for FB stock. Currently, the September put/call open interest ratio rests at 0.53, with calls nearly doubling puts among front-month options. Implieds, meanwhile, are on the low side for FB stock. September options are currently pricing in a move of only about 2.8% through expiration. As a result, the upper bound of the expected move lies at $176.50, while the lower bound lies near $167.50. That said, a breakout above resistance at $175 could bring more technical buyers to the table. Call Spread: With FB stock set to run higher after completing its bullish flag breakout, traders might want to consider a Sep $172.50/$175 bull call spread. At last check, this spread was offered at $1.04, or $104 per pair of contracts. Breakeven lies at $173.54, while a maximum profit of $1.46, or $146 per pair of contracts — a potential 40% return — is possible if FB stock closes at or above $175 when September options expire. Put Sell: For a more neutral-to-bullish outlook, a FB put sell may be just what you are looking for. At last check, the Sep $165 put was bid at 40 cents, or $40 per pair of contracts. As long as Facebook stock trades above $165 through expiration, traders pursuing this strategy will keep the $40 premium. However, if FB trades below $165 ahead of expiration, you could be assigned 100 shares for each contract sold at a price of $165 per share. Article printed from InvestorPlace Media, https://investorplace.com/2017/09/facebook-inc-fb-stock-bullish-breakout/.